Yesterday as I watched the second qualifier CSK won a close encounter. Even though RCB merely scored 140 runs and after the first innings every cricketing critique predicted CSK will win it easily. But CSK had to put in the last sprint with the help of MSD and Mr. Cricket. After RCB lost the match and out of disappointment I turned off the TV. As I was lying in my bed, I was thinking about the game RCB lost and fired up my smartphone to check Chris Gayle individual score. As I was doing that, I came across an article here. I was literally paranoid by reading these views and it was then I decided to write this post. Before we get in to more details, please know that as a captain Kohli has lot to prove and I would like to see him learn from his mistakes & nobody learn nothing if he is not even trying. The whole argument of “Rage is not aggression” is a romantic idea to beat a cricketing marvel. This is drawn from discussions Bishan Singh Bedi (BSB) often attend on the News Channel interviews. If you take the BSB comment out of it it’s a moot point to explain. If Steve Waugh (SW) says, Shane Watson is not a all rounder, “Does that make him mediocre batsman and bowler ?”. Try answering that and you would know we cannot generalize such a closed ended statement. BSB and SW are former cricket players and that’s where the similarity ends. SW approaches the game in a different way and so is BSB. Please don’t just generalize the statements. I should have told you about how Virat lost his father while he was playing the game against regional team. 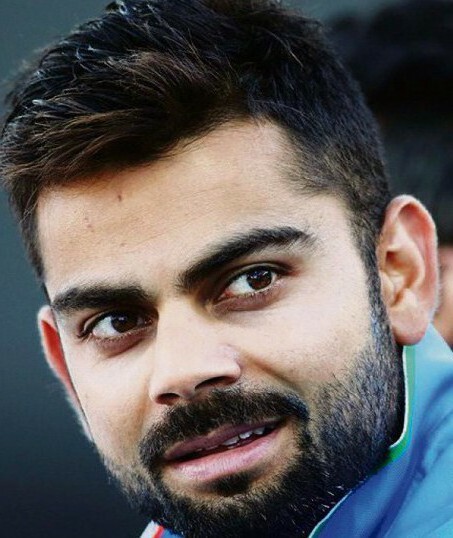 Virat’s father, passed away in December 2006 after being bed-ridden for a month due to brain-stroke. And as luck would have it, he passed away in the middle of a crucial Ranji trophy tie against Karnataka. Virat was the overnight batsman for Delhi and he was just taking his first steps in his debut Ranji season. Amazingly, Virat went ahead and played the match. He had to and scored a brave 90. “My husband passed away in his sleep at around 2 in the morning”, as Virat’s mother explained. Virat was in two minds about whether to play or not. At that time he would have taken his father death as a sheer shock & could have withdrawn from the crucial game. But it was his attitude of “Nothing is bigger than the game”, due to which he went on to play the game we all love. After getting out, he went straight to his father funeral. It takes lot of courage and steady head to see beyond the fog and keep living to the Spirit of the Game. That is absolutely correct and rubbish at the same time. “Do we remember Sourav Ganguly for all the respect he got from his team mates?”. “Who was the most respected captain of this century?”. “Was it Sunil Gavaskar or Kapil Dev?”. The answer is, I don’t know. Because a captain is always remembered for his achievements, his leadership skills, honing the best performance out of the players. The respect will come along the way, once you start to rock the world with your performance. Will you respect Dada for taking the shirt off in Lord’s or Virat for showing the middle finger ? No one is getting any respect for those incidents.